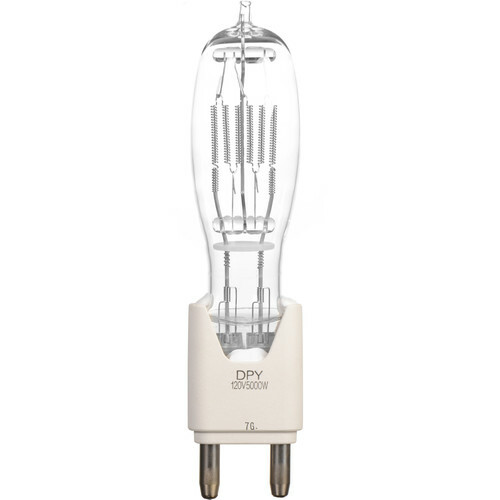 The Sylvania DPY (5000W/120V) Lamp is a T17 shape display optic halogen bulb. The DPY has a G38 base and a 500 hour lamp life. This lamp is commonly used for studio, theater, TV & video. Box Dimensions (LxWxH) 12.7 x 4.5 x 4.4"